No stranger to Samanddance or Towerfest Chris Raddings was the opening artist at the very first Towerfest back in 2007. Born in the city of Leeds, West Yorkshire. 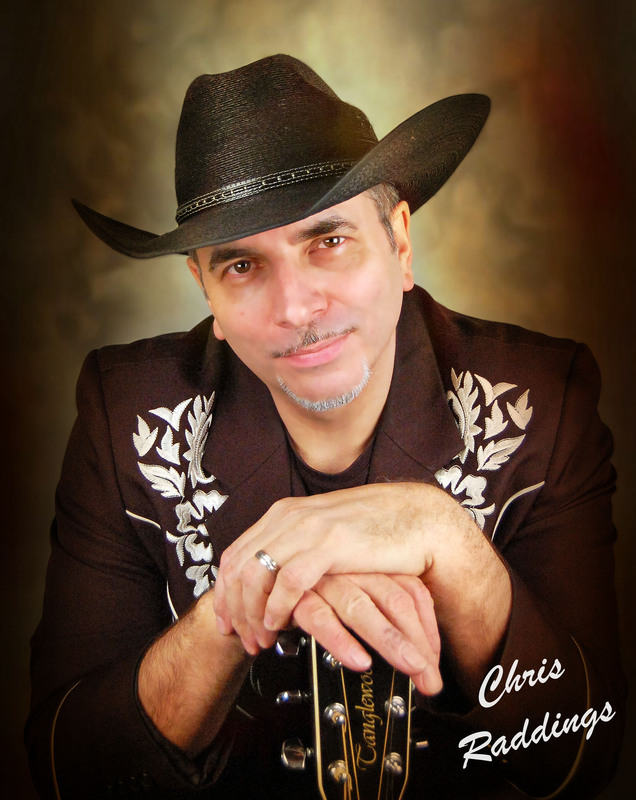 Chris is one of the most respected singers on the British Country Music circuit. He currently hails from Harrogate, North Yorkshire where he lives with his wife Fiona, her two sons Ollie and Alex, and his daughter Eleanor. He first picked up his older brother's much neglected guitar at the age of 13, and was inspired to play after hearing the Shadows and their iconic instrumental Apache. Chris caught the country music bug soon after when the TV advert for the Johnny Cash album 'Itchy Feet' caught his eyes and ears in the mid seventies. Something about 'that voice', the twanging guitar, and a pair of cowboy boots really struck a chord. The 'New Country' revival of the 1990s saw Chris take his first steps on the British Country Music circuit. Although something of a late starter as a singer at "*, he found the positive response to his distinctive and authentic vocals encouraging. Chris Released his first album 'Watching You Go' in 1997 under the wing of his then high flying friends the legendary Cheap Seats. This quality John Pettifer produced effort received critical acclaim with its mixture of self penned and original material from UK and Nashville based songwriters. In recent years Chris has really come into own as a solo performer performing at many of the major venues and festivals. With increasing confidence and self belief Chris has really hit his stride of late, resulting in impressive self-assured performances on the road. This has seen him nominated best male vocalist twice in recent years for the British Country Music Awards. Chris recently released a much anticipated follow up to 'Watching You Go' an all self-penned affair entitled 'Coming Out of the Shadows'. The title track from this and its associated line dance have topped both country and Line Dance charts. The track has also won song of the year at the CNN awards. Once again John Pettifer was at the producing helm and the whole album is outstanding. Watch this space as Chris's star looks destined to shine even brighter.